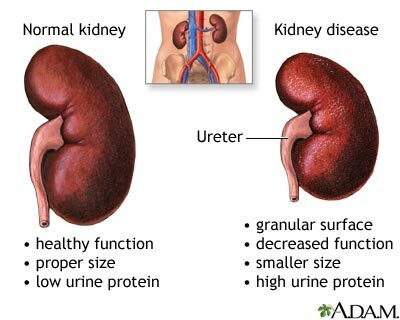 During diabetic nephropathy the kidney becomes damaged and more protein than normal collects in the urine. As the disease progresses, more of the kidney is destroyed. Over time, the kidney's ability to function starts to decline, which may eventually lead to chronic kidney failure.